There will be a partial solar eclipse on August 11. While the eclipse will be a sight to behold, it won't be quite as stunning as the total eclipse that swept across the US last summer. The summer of 2018 continues to be a blockbuster for fantasticcelestial events. Following July's total lunar eclipse, some sky-watchers will be treated to a partial solar eclipse on August 11. During a solar eclipse, the moon passes between the Earth and the sun, casting a shadow on our planet. If you're watching from Earth, the moon appears to cover the sun. The event that captured the US' attention last summer was a total solar eclipse. In that case, the moon blocked the entire sun. But the coming eclipse is only partial, which means that the moon will pass in front of a portion of the sun, rather than covering it entirely. How much the moon covers the sun depends on your location on Earth. The coming partial solar eclipse will be most visible at the North Pole, EarthSky reports — there, the sun's diameter will be 65% covered. 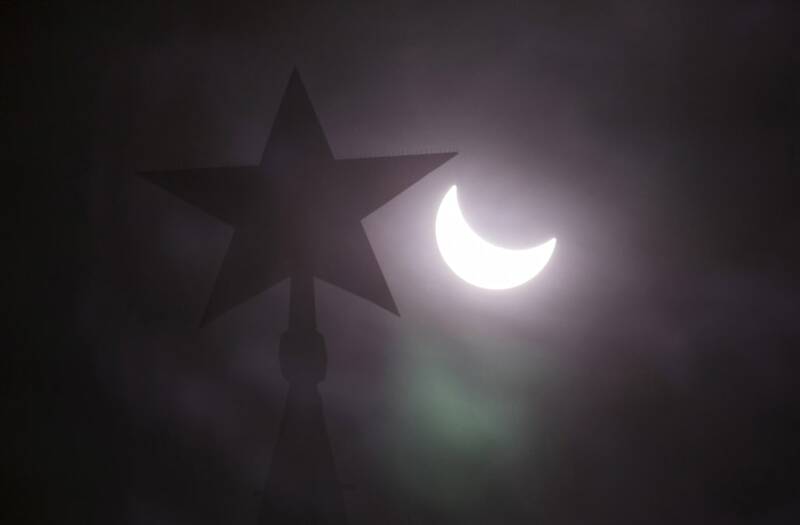 In the northern city of Yakutsk, Russia, the sun will be 57% obscured. In Greenland, the sun will be 50% covered. The next total solar eclipse will happen on July 2, 2019, and be visible to people in the South Pacific and South America. The next total solar eclipse that will be visible in North America won't come until April 8, 2024. Your next chance to see a total lunar eclipse (when the Earth passes in between the moon and the sun, casting a reddish shadow on the moon) will come on January 20, 2019.